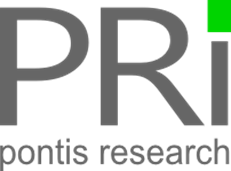 Pontis Research was founded in January 1994 as a security consulting company. Over the years our offerings have grown to keep pace with the changing technology landscape. In addition to our flagship product iamaware, we offer traditional security consulting services and managed security services. We believe our success over the past two decades is largely attributable to the relationships we have with our clients. We view our clients as long-term partners on a security journey. Every project becomes part of our well-planned road map. We have clients across the United States and the world. Our headquarters are in Southern California. Specialized 9-1-1 Swat Teams for when things unexpectedly go wrong and you need immediate help and root cause analysis with achievable remediation plans. We also offer Security as a Service, if you are looking for a cost effective, hassle free solution. We work hard to ensure your project is completed flawlessly, within budget, and on time.